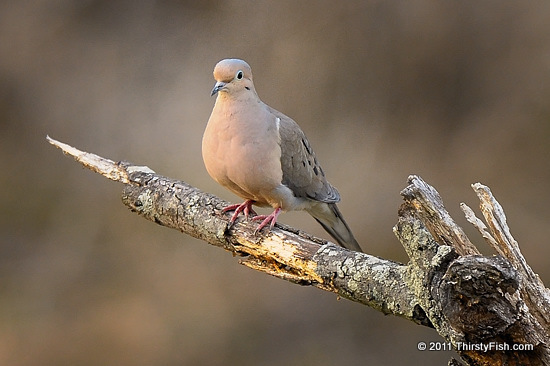 Mourning Doves are North American birds that get their name from their distinct woo-OO-oo-oo-oo call. Although commonly recognized as birds of peace, they are also popular game birds. They are widely distributed and are not endangered. Mourning Dove is also the pen name of Christine Quintasket, the first known Native American woman to publish a novel (1927). Being mixed-blood herself, she wrote about being caught between the European and Native American cultures with a unique perspective. Although her work was heavily edited during her lifetime, in the recent years there have been numerous academic studies recognizing her importance as an ethnographer and a writer. We mourn that so much of Native American culture disappeared without being understood.